Was out buying a few parts and I found a replacement mirror at AutoZone I thought I would pass along. This mirror is slightly shorter, less than an inch for sure, and a bit wider than the stock ones. 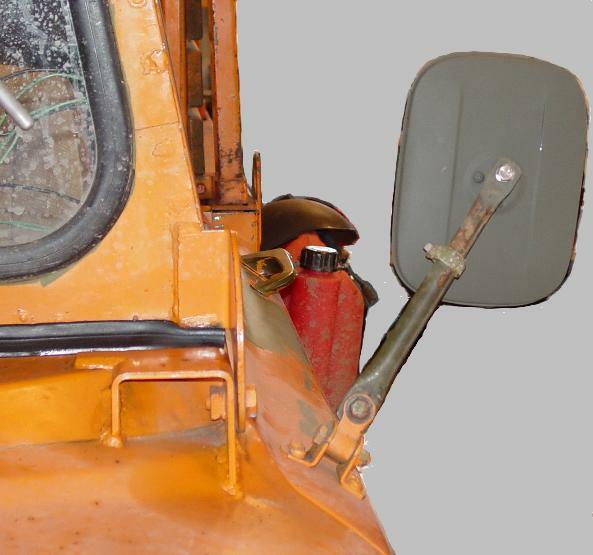 They have basically the same mount though instead of a stud sticking out that you tighten a not on, they have a kind of tube threaded on the inside that you put a bolt from the rear, through the mirror arm, into and tighten. The metal is stainless steel. NOTE: The bolt that needs to go through the mirror arm on these is 5/16ths inch, stock is 1/4...you have to open the mont hole in the arm to the new size. 5 7/8ths wide by 7 3/4 tall according to the box. The manufacturer on the box is Koehler Enterprises and the part number on the box is RA750HS. I painted mine OD and mounted them....they look good to me...maybe not perfect but real close, definately cheaper and arent going to rust anytime soon. Is there a cheap fuel pump that can handle hot gear oil? Sure is smoky where you live..... I need to find the brackets for the mirrors any luck on that one? What bracket....the 90 degree pieces that hook to the loop to the arm and to the door? Or the loop piece that goes from the 90's on he door to the arm? I need correct mirror brackets as well (everything from the door up to the mirror head). Are the arm/brackets you can get for the M38A1 the same thing? They look like it but I'm not sure. As far as the 90 degree pieces on the door, I will measure mine, best as I can, either this evening or tommorow, and post...those are just flat metal with a 90 degree end....could be fabbed out of angle iron and no one would ever know. I sent an email to VPW last Friday but so far no response. Also emailed Memphis and AB Linn to see what they might have.